I think my mom enrolled me in my first dance class as soon as I could walk. From that moment forward, dance was a major part of my life. Hours after school were spent in class, weekends were spent at rehearsals, and summers were spent at camps and later full-blown dance intensives. By the end of high school, I was starting to get burnt out with auditions and politics, and I left the company I’d been with for over ten years. I spent my senior year taking classes at various studios in the area in a more low-pressure environment. I left for college unsure how dance would continue to fit into my life, but I quickly found a new dance community at the University of Georgia and at an independent studio in Athens. I’d never known a life without dance, but I graduated from college, moved across the country, and dance slipped out of my life. When I moved to New York City last year, I vowed I’d start dancing again, but something was still holding me back. I’d lived in the city for eight months without stepping back into a studio. I felt out of practice and intimidated to take a class. Then a friend introduced me to Jess Grippo and her You Can Dance Again (YCDA) Program. 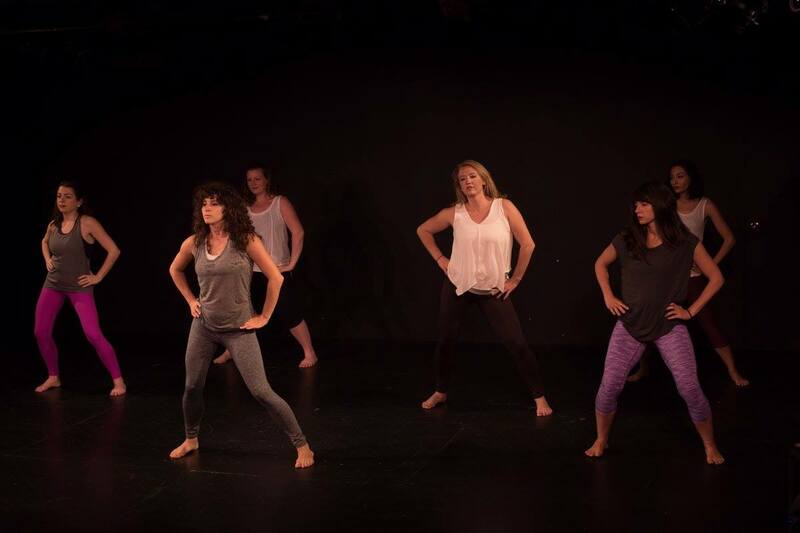 After a brief call with Jess, I felt like YCDA was just what I needed – an alternative to the traditional dance scene and a supportive environment to reconnect with my dancer body and dancer identity. After a four-year hiatus, I finally started dancing again. 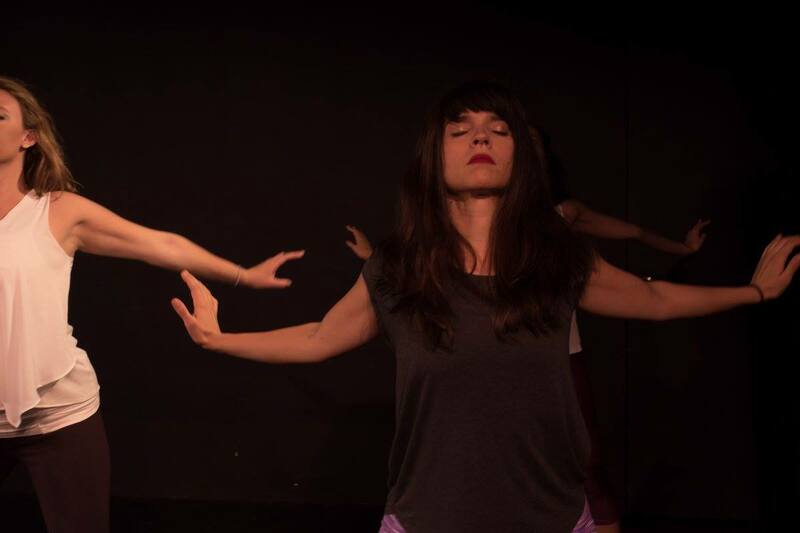 Jess is a dance reviver and creative coach based in Brooklyn. She created the YCDA Program because she, like me and so many other dancers, experienced a time where she lost dance and, in turn, a part of herself. YCDA is a simple way for dancers to return to their passion. The program is available both online and in-person for those living in the NYC area. During the virtual program, you’ll meet weekly with other dancers over a video hangout to receive guided dance sessions and coaching from Jess as well as other guest instructors. In the NYC-based program, you join the virtual program weekly in addition to meeting in a studio weekly with Jess and the other dancers. 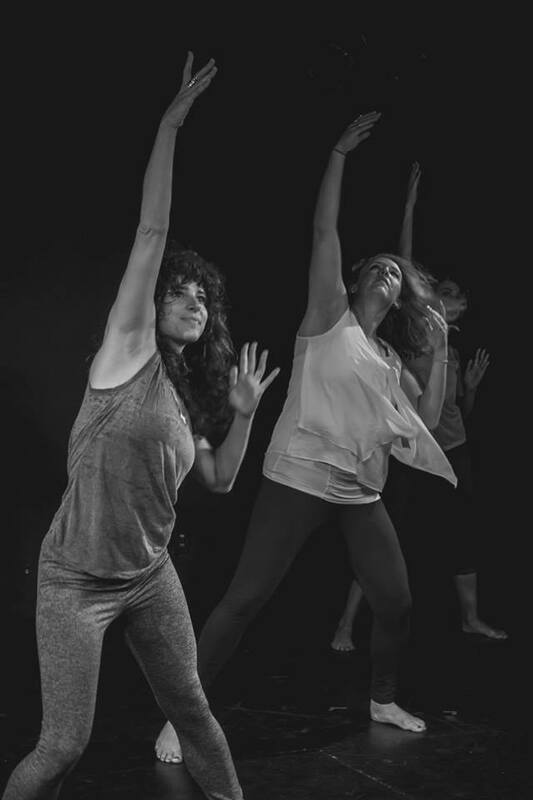 Both versions of the YCDA program focus on developing choreography from improvisation, guided prompts, and collaboration, culminating in a virtual showcase for the online program and a performance in NYC for the live program. If something is holding you back from dancing again or you’ve been hoping for an opportunity to dance again free from comparison or competition, I highly recommend speaking with Jess and exploring the YCDA Program. The next session will begin in 2016, so be sure to join the movement to be the first to learn about what Jess has in store for the New Year! In the meantime, if you’re in the NYC area, get your tickets for the current program’s showcase next Friday, December 11 at 7:30P at the Alchemical Theatre Laboratory in Manhattan. When you live in New York City, it’s bound to happen eventually. Against your better judgement, you will decide that it’s absolutely necessary to attend a sample sale for one of your favorite brands. Anyone who knows me can imagine that the sample sale environment is not my cup of tea. I don’t possess most of the characteristics required to be a good sample sale shopper: I’m anxiety prone, I like to take my time, and above all I’m incredibly indecisive. But when I saw that my all-time favorite lingerie brand, Hanky Panky, was having a sample sale at the Chelsea Market, I couldn’t resist. I figured, it’s just lingerie, how complicated or intimidating could it be? A couple weeks before the sale, I saw a deal on Gilt City to pay $10 for one-hour of early access to the event. I was sold. In the fine print of the voucher, I noticed a note: bag and coat check will be required. I’m guessing this is a pretty standard practice to prevent theft at sample sales. I quickly decided I didn’t want to have to deal with that. I would bring only what I absolutely needed: my pocket-sized credit card case, my phone, and a reusable shopping bag that could easily fold up and clip to my belt loop. My first tip for successfully navigating a sample sale: avoid the bag and coat check, be a man, and use your pockets! On the day of the sample sale, my Gilt City voucher allowed me to gain access at 11:00A, but I’d still resolved to arrive by at least 10:30A. My second tip for successfully navigating a sample sale: arrive at least half an hour before the doors open. I arrived around 10:20A and was number six in line. I was feeling both accomplished and incredibly nervous. Everything had perfectly fallen into place, but would I be able to hold my own once the doors opened? Finally, it was 11:00A, the moment of truth. They checked my voucher, and I whizzed in, past the bag and coat check and line that was forming there. My plan had worked! I beelined for the bin of small v-kinis and literally started grabbing one in every color. 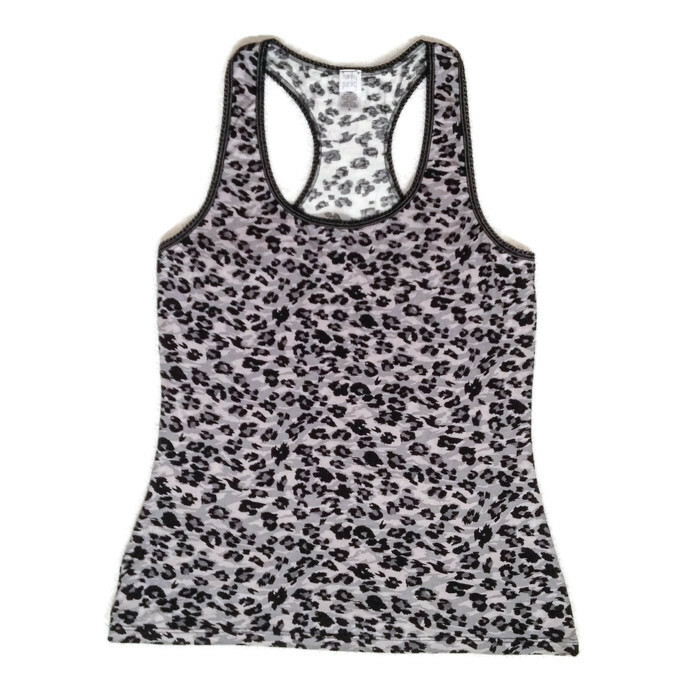 I continued to the bin of extra-small boy shorts and the racks of small tanks and chemises with the same approach – grab one of everything. The employees were looking at me like I was crazy, offering me bags left and right to hold my loot. I, of course, had no intention of buying forty pairs of underwear or a dozen tanks, but I figured it was best to grab now and decide later. My third tip for successfully navigating a sample sale: if you see it and there’s a 1% chance you might want it, pick it up, and don’t put it down until you’re ready to make your purchases. I survived my first lap without a hitch, but as I made my second round, things started to heat up. Every inch of the space was mobbed, and you had to shove your way in to each rack and bin. It was time to assess what I had, return what I didn’t want, and head to the checkout line. My fourth tip for successfully navigating a sample is to be sure to check the payment methods that are accepted – this particular sale accepted cash and credit card, but some may be cash only! I left feeling excited and empowered – I’d successfully conquered my first sample sale with a total savings of $215 off retail! Despite the anxiety and insanity, it was totally worth it, and I’d absolutely be willing to brave another sample sale again. If you’re scoping out sample sales and planning to attend in the future, I’ve got one last piece of advice. My fifth and final tip for successfully navigating a sample sale is to note that you may not be able to try items on, as we were not at Hanky Panky. I typically scoff at girls who wear makeup to the gym, but I wasn’t preparing for just any workout. 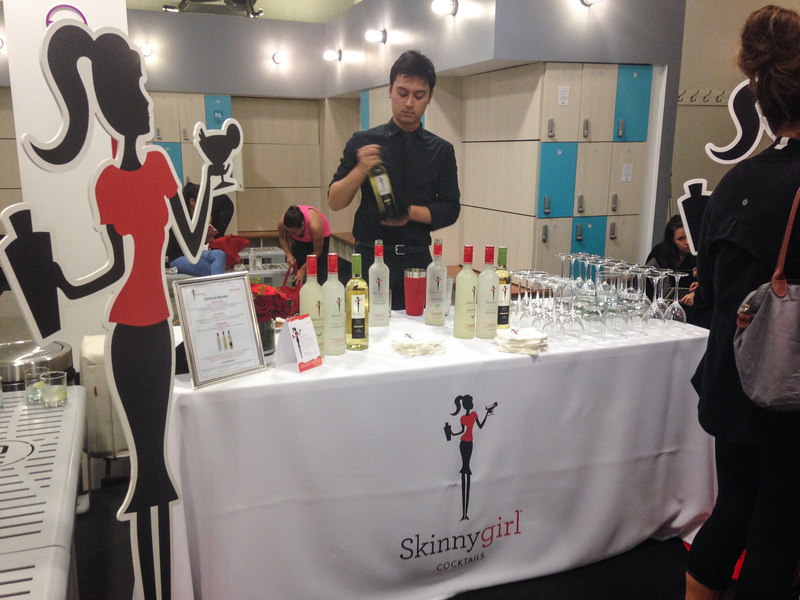 I was getting ready for the Skinnygirl Tastemakers Cycling & Cocktails event with Bethenny Frankel herself. Public transportation had failed me numerous times lately, leaving me trapped in a stalled subway car or sprinting off a bus and down several avenues. Tonight, I couldn’t risk being late, so I decided to walk from my Upper East Side home office, across Central Park, to the Upper West Side Flywheel. I arrived with time to spare, checked in at the front desk, and beelined for the bathroom. I looked in the mirror and was horrified! I couldn’t meet Bethenny Frankel looking like this! While my 2.4-mile walk to the event allowed me to arrive on time, it did not allow me to maintain my fresh face and perfect ponytail. Fortunately, the Flywheel bathrooms are stocked with nearly every beauty product on the planet, and I was quickly able to regain my Bethenny-ready face. Around this time my friend Kelly arrived, and we secured our place first in line outside the studio where Bethenny was doing a pre-workout interview. After waiting a few minutes, the door flew open, and Bethenny somehow slipped out in the sea of press. Kelly and I entered the studio and took two bikes in the back. Neither of us had been to a spin class, and we were certain we were about to have our butts beaten (literally). After everyone was in place, Bethenny made her grand entrance, gave a brief introduction, and then left us to suffer through the cycling alone! Somehow I survived my first spin class, but I was certain my Bethenny-ready face had once again melted off from the sweat dripping down my brow. Outside the studio, Bethenny was ready and waiting for us with a cocktail in hand. She posed for photos, gave a toast, and offered up a short Q&A. I was pleasantly surprised to see my makeup didn’t look too shabby in our snapshot, and I even got her to sign my copy of A Place of Yes! Many of you know that meeting Bethenny has been a dream of mine, especially since moving to New York City. 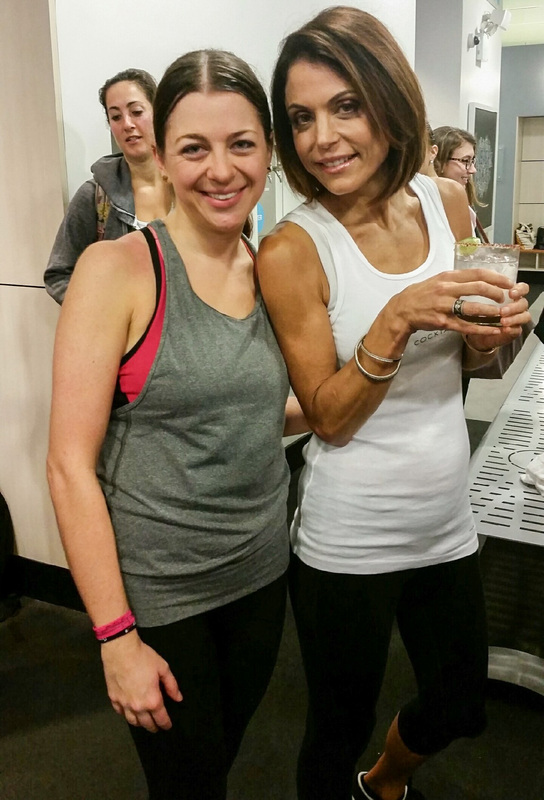 I’ve admired Bethenny for a long time for her perseverance in business and in her personal life. I believe she is one of the most savvy, strong, and saucy entrepreneurs in the business world, and love her or hate her, Bethenny’s no-BS, ball-busting approach has proved to be wildly successful. Her book, A Place of Yes, was incredibly inspirational and transformative for me, and I would highly recommend it to anyone (in fact, if you need a copy, hit me up – I keep about ten on hand just to give out to others). 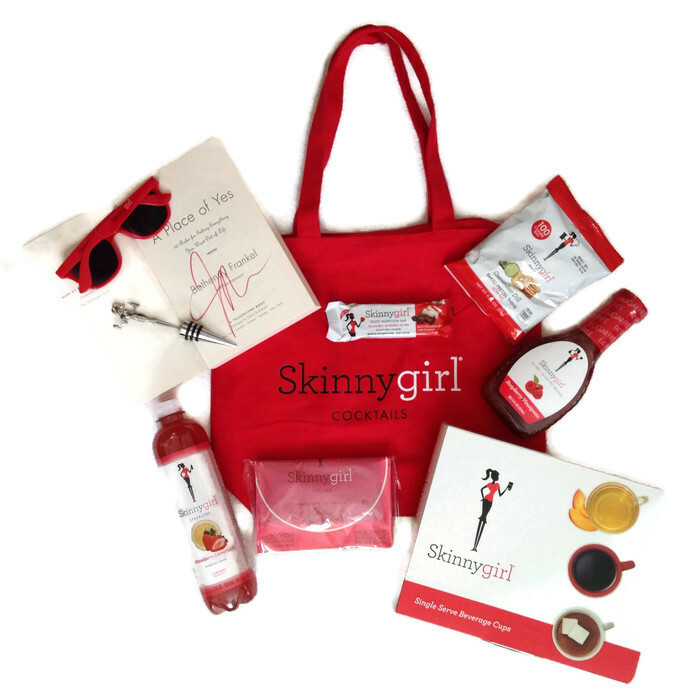 If you want to be the first to know about all things Skinnygirl or if live in the NYC area and want a chance to meet Bethenny at events in the future, be sure to join the Skinnygirl Tastemakers.